Mahatma Education Society’s HOCL School has the CBSE stream till class tenth from the academic year 2009-10. HOCL is situated in a quaint but picturesque complex in Rasayani just a few kilometers away from Panvel . The school is blessed with over 36 acres of campus space allowing a lot of open space that enhance the whole experience of learning. School has the unique distinction of combining Indian values to meet global learning. It is an ideal enviroment for learning – teaching growth and development. MES plans to start day and residential IB/ICSE/CBSE/IGCSE programmes at the HOC International School in the years to come. One of the aims of Mahatma Education Society’s Hindustan Organic Chemicals (HOC) is to develop a world-class educational complex with schools, colleges and institutes specialising in engineering, IT, management and other upcoming fields. In 2006 the management of HOC invited the Mahatma Education Society (MES) to manage their international school at Rasayani. MES is a significant part of the global educational revolution and ideally suited to bring HOC’s plans to fruition. The aim of MES is to establish a legacy of world-class educational institutions in India and abroad. 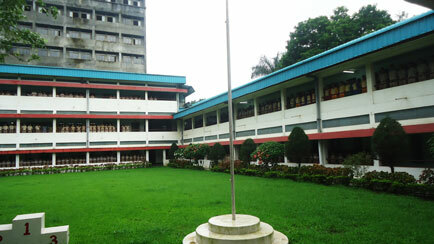 The First School to be started in Rasayani with unique features like Internet Computers, Sports, Games and Various Cultural Activities, Audio visual teaching methods. Conducting High School, Middle School & National Talent Search Scholarships Examinations. Excellent pay Packages to the Satisfaction of our Teachers. Figuring consistently… in the Merit lists of C.B.S.E Examinations.